Whipple, the pioneers in PCM555 development and well over 10 years of R&D are the authority of PCM calibrations. With full PCM control, Whipple can offer customers many different options for stock and modified engines. Whether its the Whipple Stage 1 or custom calibrations for your application, Whipple can easily handle it with incredible accuracy and a ultra fast turn-around time. The Whipple stage 1 maximizes the power output of the stock engine by running 91 octane or better vs the stock 87 octane, increasing the maximum spark advance, increased ignition dwell from the ignition coil and maximized air-fuel ratio. Calibration increases torque levels throughout the entire rpm curve while making more peak hp for increased speeds. 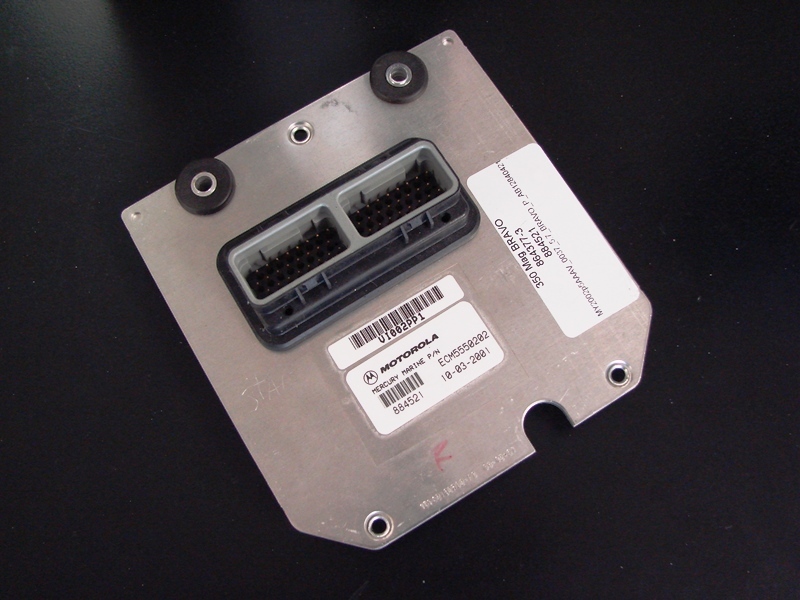 Customers report far cleaner transoms (less soot) with increased throttle response. NOTE: PCM'S MUST BE SENT TO WHIPPLE SUPERCHARGERS FOR CALIBRATION SERVICE ALONG WITH RECEIPT, NEW PCM'S ARE AVAILABLE UPON REQUEST. TURN AROUND IS NORMALLY 1-3 DAYS. Whipple has full control of the PCM calibration, whether you just want to update from an earlier model cal to a new model year, work with your custom cam or engine combo, whether your tired of the factory transom soot issue or anything else needed, Whipple can support your needs.